The Days of Johann, an agility dog! : How safe is your tennis ball? How safe is your tennis ball? 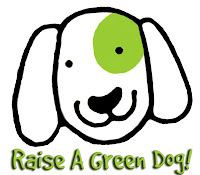 Important info to check out on Raise A Green Dog. We wrote about HealthyStuff.org and their testing of over 400+ pet products for toxic chemicals. Head on over and see if your pup products are safe, K? We think you may be surprised. They have info on everything from beds, collars, toys, bowls and more. Good site to bookmark, as they will be testing more pet products in the future! But a neighbor has tried wrapping their tree in Christmas tinsel, so I'm going to try that!